I wrote this story for the Dallas Morning News. It was published on Feb. 21, 1994. SAN CRISTOBAL DE LAS CASAS, Mexico – The children clapped. Women swooned. 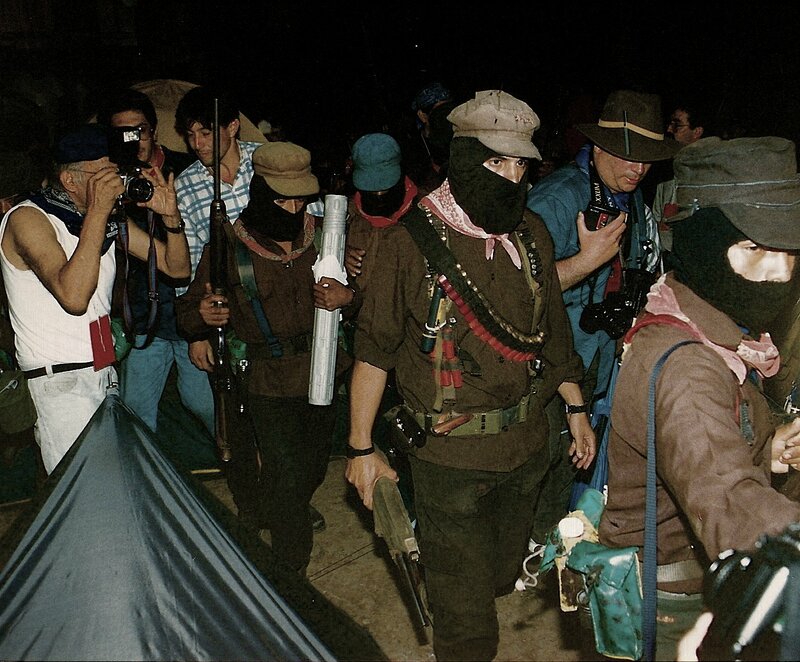 Men chanted, “Long live the Zapatista army!” And Mexican reporters scribbled, “I love Marcos!” on their blue jeans. Seven weeks after storming San Cristobal de las Casas, Subcomandante Marcos is back. With a pistol strapped to his side, he and 17 other rebels roared into this colonial town Sunday on the eve of peace talks with the Mexican government. But some analysts wonder what there is to negotiate. Rebel documents seized by the Mexican army indicate that the insurgents will not lay down their arms until Mexico is a socialist state. Since the revolt began New Year’s Day in the state of Chiapas, the rebels have downplayed – at least in public – their goal of spreading communism throughout the country. That tactic has made the rebel army seem almost harmless, “like a warm, fuzzy creature,” as one high-level Mexican government official put it. But the rebel documents obtained by The Dallas Morning News show another side, that of a determined, calculating, well-organized insurgency bent on transforming Mexico through violence and political maneuvering. 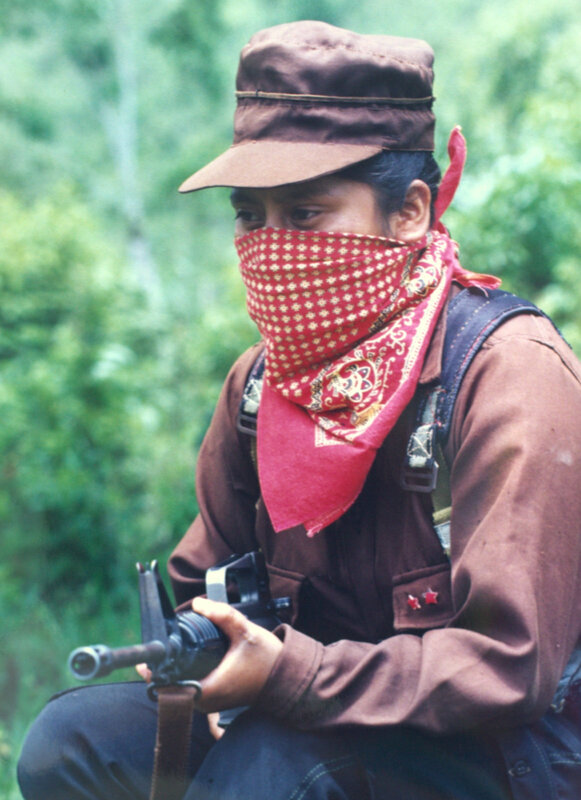 The documents show that the Zapatista National Liberation Army, or EZLN by its Spanish initials, hopes to sway the outcome of the Aug. 21 presidential elections and break up the ruling Institutional Revolutionary Party, or PRI. The rebels say politics, image and public support are a crucial part of their overall strategy. Marcos mentioned only a few broad political goals in his last communique. Marcos also paid tribute to those who have been killed while struggling on behalf of Mexico’s poor. “Through our voice, the dead will speak, our dead, so alone and forgotten and yet so alive in our voice and our steps,” he wrote. That kind of passion for justice is what draws many people to Marcos. Townspeople yelled, “Bravo! Bravo!” when he arrived Sunday. “It’s not just Marcos who’s talking. He’s become the spokesman for a very large group of exploited people, for the poor, the hungry,” said Leobardo Vazquez, an economics student who flew in from Mexico City. Marcos didn’t make any immediate statements Sunday. But he flirted with a crowd of reporters, did a little bow and lifted his pant leg to show some skin before ducking into a church where the talks will be held. With his sense of humor in the face of peril and masterful use of the media, the commander has gained supporters across the country. 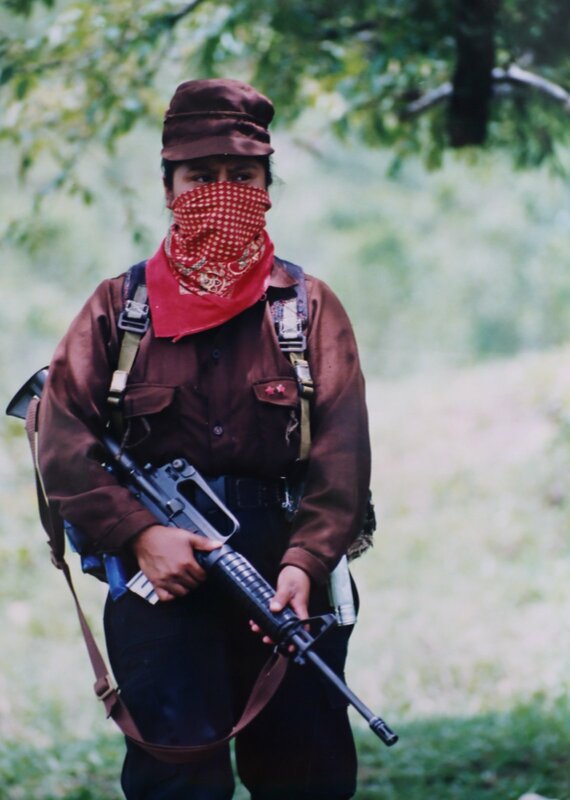 Yet the 82 pages of seized rebel documents seem to show that the Zapatista army has a core of dedicated Marxists who probably would have been at home fighting in Cuba, Nicaragua or El Salvador. Unlike Marcos, many are Indians who aren’t entirely fluent in Spanish. They write about the evil bourgeoisie and the oppressed proletariat. “We can assure you that our EZLN won’t put down our arms until our country defeats the forces of the bourgeoisie,” one document says. “Central America is an example that yes, you can do away with capitalism. That will end, they say, once the Zapatistas gain political power and install a “government of the poor” in Mexico. 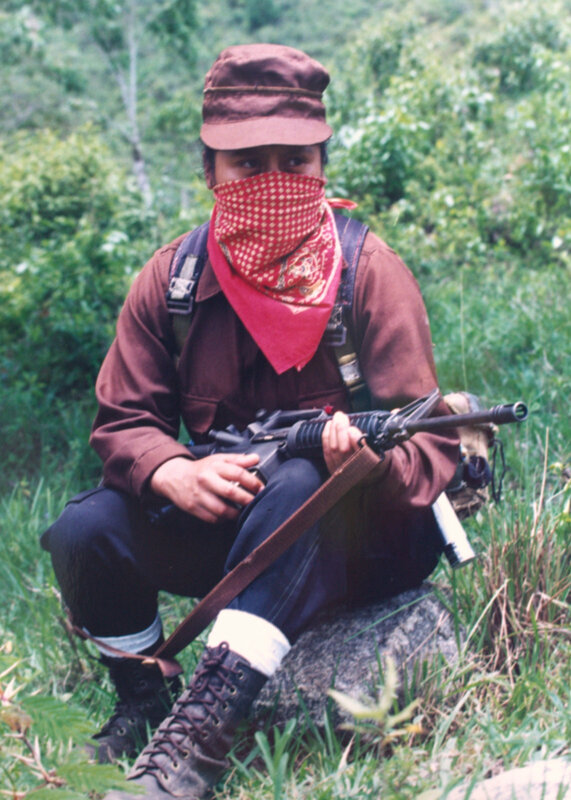 Zapatistas. Gen. Miguel Angel Godinez said earlier this month that the rebels shouldn’t be calling themselves an army. “For us, they’re delinquents, transgressors of the law,” he said. The Zapatistas don’t seem deterred. In what appear to be notes from political indoctrination classes, rebel leaders tell the soldiers to expect a long, hard-fought struggle. They predict a ruthless counter-insurgency campaign by government forces. They warn that Mexican soldiers will arrest, torture and kill both rebels and sympathizers. And they say the government will send in spies, mostly teachers and rural doctors. 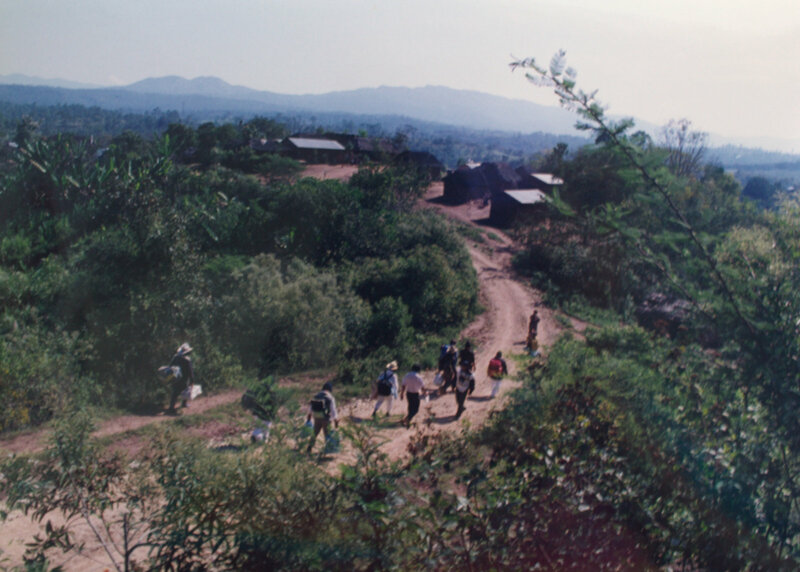 government-sponsored opening of cantinas across the countryside, an effort to drown the uprising with alcohol. * They are organized into sections, companies and battalions. Each soldier has a four-digit identification number based on his position within the organization. There are 13 to 17 rebels per company, headed by a captain. 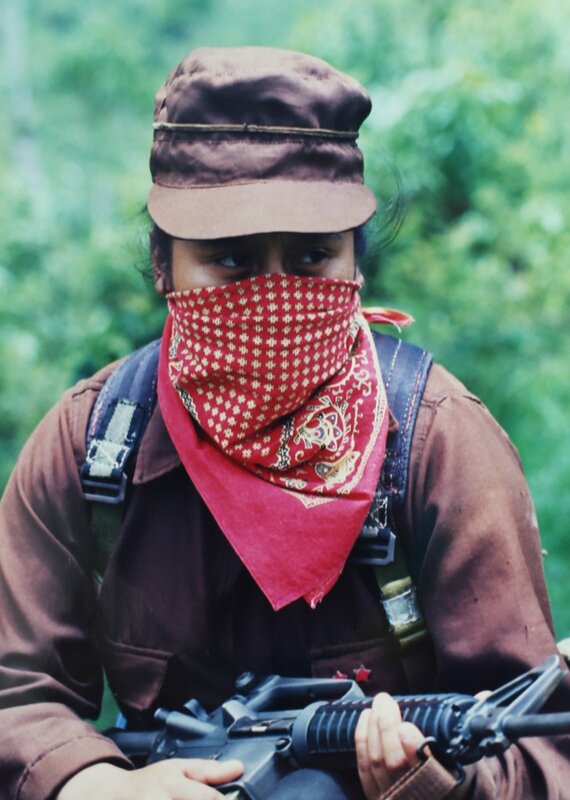 * Supplies and equipment – Zapatistas carry everything from hammocks for sleeping to .22-caliber bullets for killing wild game. Their standards are extremely detailed, down to the requirement that soap must be stored in a rustproof container. * Attack methods – Rebels are urged to “feel superior to the enemy” and to “be aggressive.” Sketches of battle plans show rebels in flying-wedge formations, heading toward government targets.